My sister & I had 2 more weeks to spend in Thailand so we researched online to find somewhere we can volunteer at for a week. We came across MANY elephant “sanctuaries” and we were hesitant to actually do it because we were unsure how well the elephants were actually treated at each of them. In the end we choose Kindred Spirit Elephant Sanctuary and we are so glad we did as it is such a unique project were the elephants are able to roam in their natural habitat and live life as free as possible, completely worth it! Our time here at the sanctuary is coming to an end, and it has been absolutely breathtaking, and such an enjoyable experience. We have learned so much about the Elephant problems here in Thailand, conducted research on their social behaviors, and also fed, hung out, and ate lunch with the elephants. However, this Elephant Sanctuary was more than just elephants. 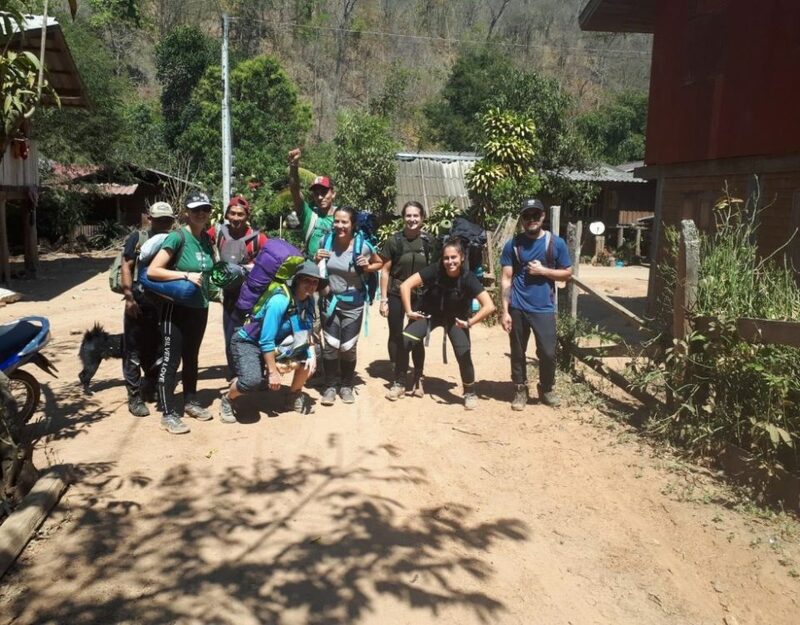 We went to the South Village and taught English to 3rd, and 6th graders at Ban Naklang school, taught English to the mahouts, and our homestay. We had a liter pick up around the North Village, weaved baskets, had movie/popcorn nights, trivia night, and also learned some of the hill tribe language. 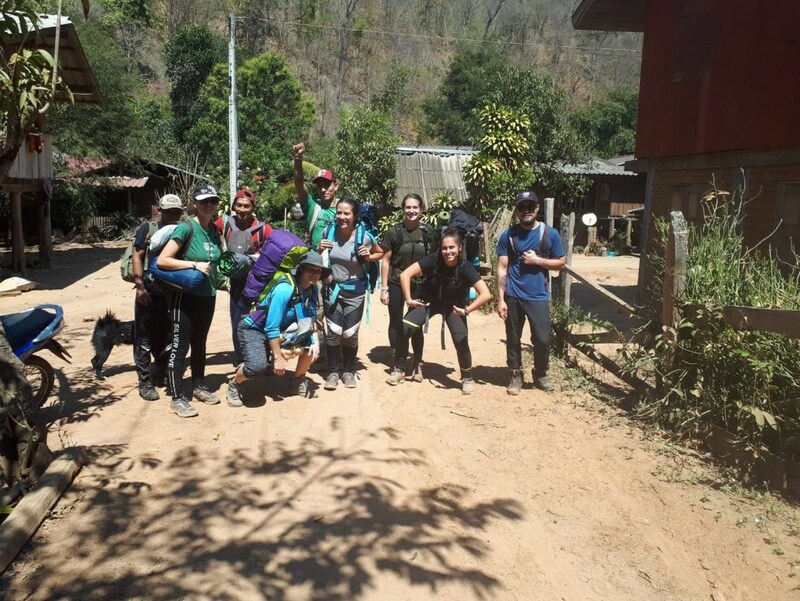 As well as learning about the elephants, we also learned about the wildlife, made our own bamboo cups, and helped a local villager plant his corn field, which he will then use as his income for the whole year. The villagers are beyond nice, and very welcoming! The staff there are personable, passionate, funny, and super friendly. My homestay experience has been great. My family consisted of six people and they were all very welcoming. The older generation did not know English but they would always greet me with a warm smile, and start talking to me in their hill tribe language anyway. Some nights I would stay up with the youngest daughter Chanida, teach her English and watch Thai soap operas until her mom & grandma told us it was finally time for bed. The family provided me with my own room equipped with a mat, blanket, pillow, a mosquito net, and a lock for my door. They had my lunch ready to go at 7:30AM every morning, and also made me a delicious dinner every night. I have met some wonderful people and I cannot wait to come back again. I’m so thankful for my time with my homestay, and so grateful for this whole experience. I’m truly going to miss the community. Thank you Kindred Elephant Sanctuary for this once in a lifetime opportunity!